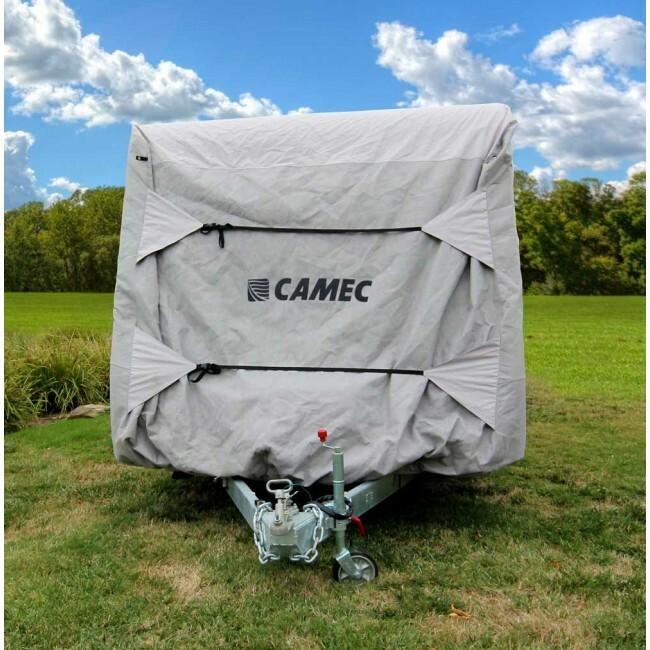 Heavy duty, practical, lightweight and affordable, this Camec caravan cover leaves little to be desired in terms of all-weather protection for your caravan. 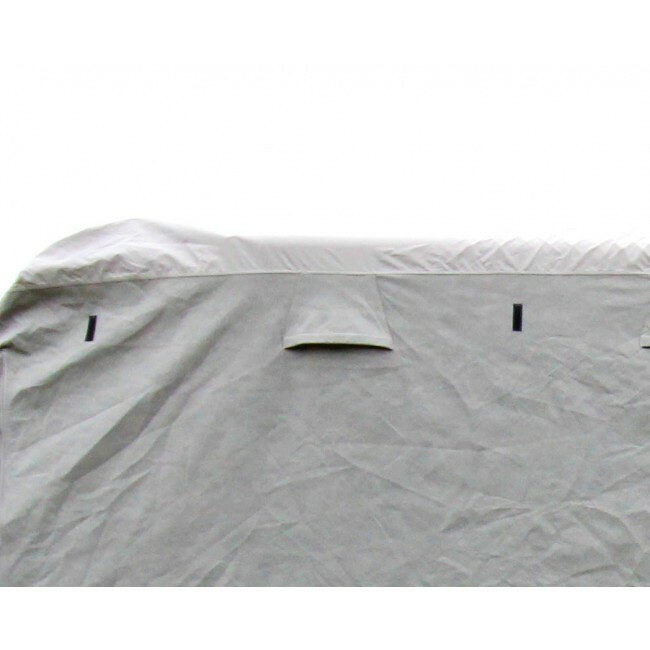 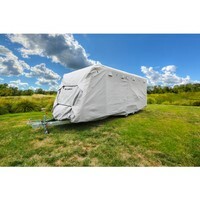 Suitable for caravans measuring between 16 and 18 feet in external length, this cover sports a UV stabilised design to block harmful sun rays from damaging your caravans paints and furnishings. 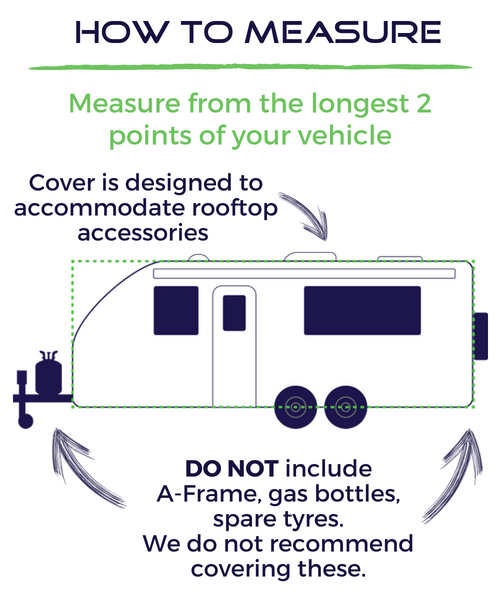 Its roof section is 300D water resistant UV 50+ to shield your caravan against corrosive acid rain and pollutants. 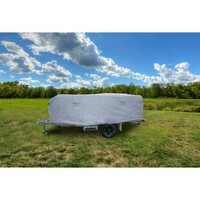 Weather resistant side panels add to the utility of the product, also introducing breathability to its mix of qualities. 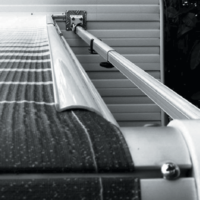 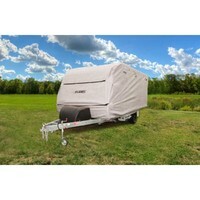 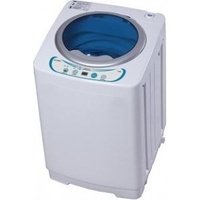 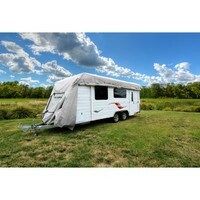 The breathable design allows for continuous moisture evaporation, keeping your caravan free from mould and mildew. Designed to fit all compatible caravans snugly, the Camec caravan cover comes with two nylon straps each on the front and back, that use a buckle mechanism to gather up any loose fabric. 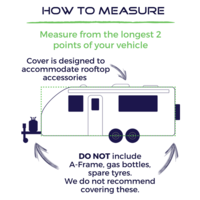 A heavy duty reinforced skirt protects the lower edge of your motorhome, while extra reinforced corners resist tears and snags. Despite its heavy-duty build, the cover is lightweight, easy to install, and has a non-abrasive inner lining. Its zippered side panel allows you easy access to your caravan’s interior with side panels allowing for access to caravans with both front and rear side doors.